After being postponed one day due to strong storms, and following concern of similar weather on the new race day, organizers converted Ironman New Zealand to a Half Ironman: 1.2 mile swim, 56 mile bike, and 13.1 mile run. As race day dawned, weather conditions had much improved, albeit a bit cold (as we've experienced on the NZ course twice). 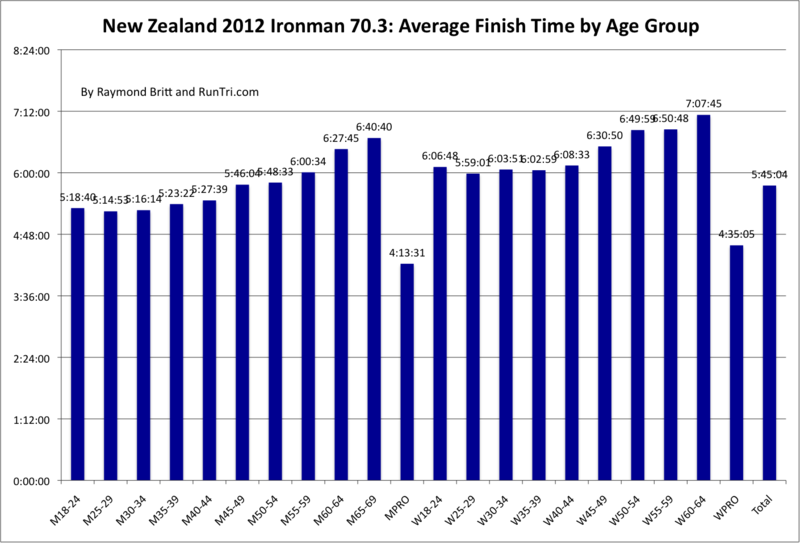 But the decision to race the 1/2 Ironman was set, and more than 1400 triathletes entered Lake Taupo by 7am to start the 70.3 mile journey. 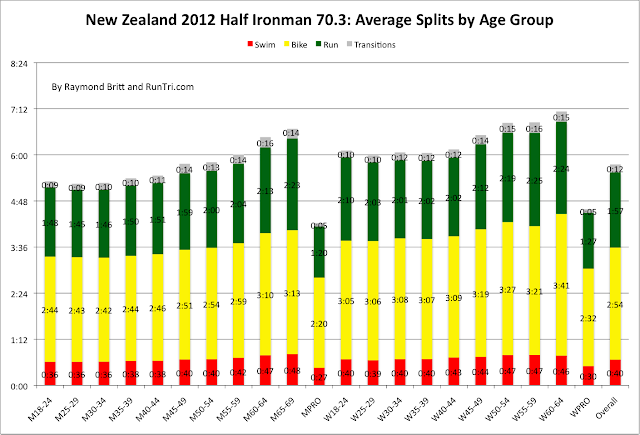 What happens when you get a field of triathletes who have prepared all year to compete in a full ironman, and ask them to compete in half the distance instead? Fast times -- a 5:45 overall average, and faster than average compared to RunTri's Toughest Half Ironman Races -- and very few DNFs -- only 1% did not finish. 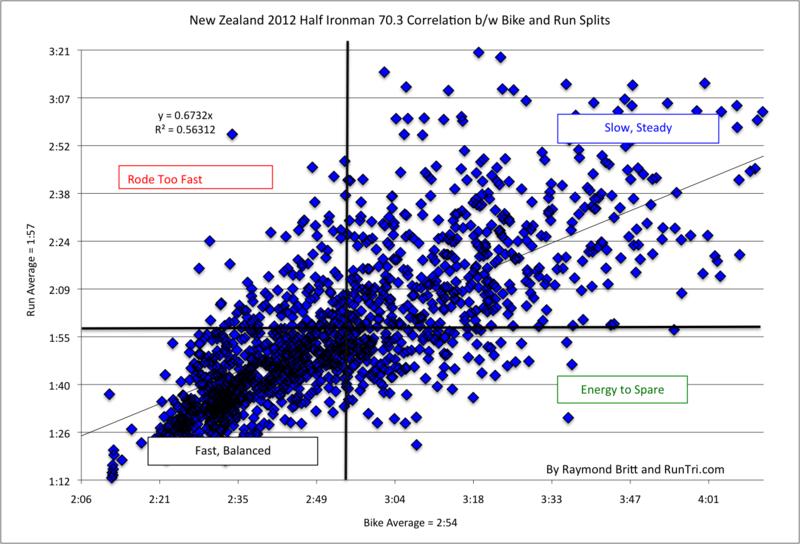 Here's our analysis, finish and split time comparisons across all age groups, and a bike/run correlation analysis. 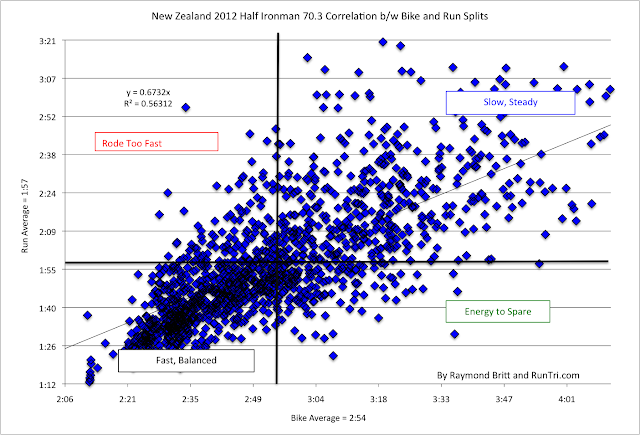 For more, visit our extensive archive of race statistics and analysis to see how New Zealand's race stacks up against other half ironman races.